This is an amazing season...a season of new toys and new opportunities. On a Christmas morning (many many years ago)...I was greeted by the coolest red and yellow dirt bike you could ever imagine...it is with that memory in mind, that I am sending you this little note about something I am thrilled to be a part of in 2017. I am pleased to share with you that I have recently joined the Board of Directors for a growing, dynamic organization called CYCLEKids. CycleKids is a national non profit dedicated to strengthening the emotional and physical health of children by giving them skills to lead active and healthy lifestyles. Please join me in supporting the work we are doing to ensure children have healthy, successful futures. A letter from the founder is below. Please Stay Tuned for some amazing events we will be launching this year! and of course....A donation in any amount will help. Earlier this year when I was visiting a class in Harlem, I witnessed the children’s thrill as they negotiated an obstacle course, the joy and pride they had in mastering the hand signals, and the sheer delight of the freedom they felt riding their bikes with the wind in their faces. I was reminded, yet again, of why I began CYCLE Kids 12 years ago. CYCLE Kids in action is a beautiful thing to behold. You can feel the new connections children are making; both with their classmates and inside of themselves. Our program provides a platform from which children can grow, but more importantly, learn that they have choices. We are part of a new paradigm for physical education programs: to educate children in life skills to build better health. Through the simple act of learning how to ride a bike, the CYCLE Kids program helps children begin to understand the value of making healthy lifestyle and eating choices. As you may know through your own experience, physical activity builds self-confidence. For children, it can also serve as a catalyst to improving emotional development and academic achievement. CYCLE Kids brings the unique lessons of gaining confidence and mastering a skill to children, and gives them a visceral lesson that cannot be taught in a classroom. Learning to ride a bike is a quintessential childhood experience that has positive, far-reaching benefits that impact a child’s development. We believe CYCLE Kids needs to become an integral program in ALL schools across the country, reaching EVERY child. 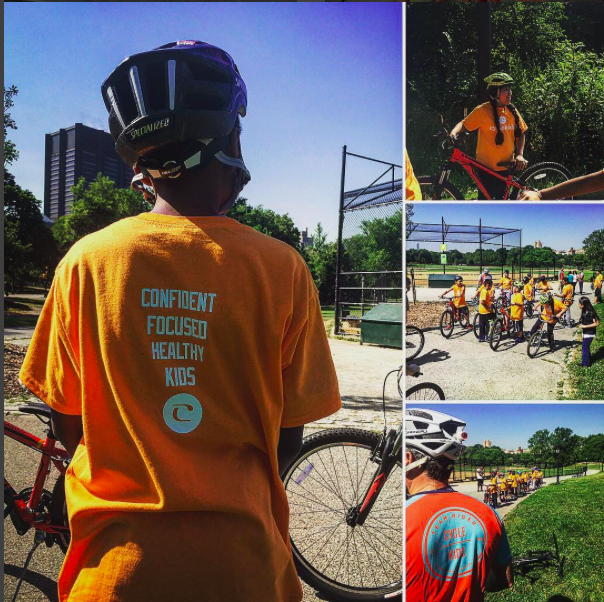 Many children in underserved communities have never ridden a bike, and it is our mission at CYCLE Kids to insure that all children can have this essential developmental experience… but we need your help. Please remember the joy of your first bike ride, and understand that not all children will experience that same feeling, or learn the necessity of healthy physical and emotional choices. I encourage you to give generously and support us in enabling children to grow with confidence and flourish for a lifetime. Thank you for helping support this great cause!